Most people have a junk drawer. But I only have three drawers total in my little kitchen so I can’t waste one of them on junk. I throw all the random things in my cabinet instead. This cabinet is right inside the kitchen door and is all by itself. It seemed the perfect “catch all” place. 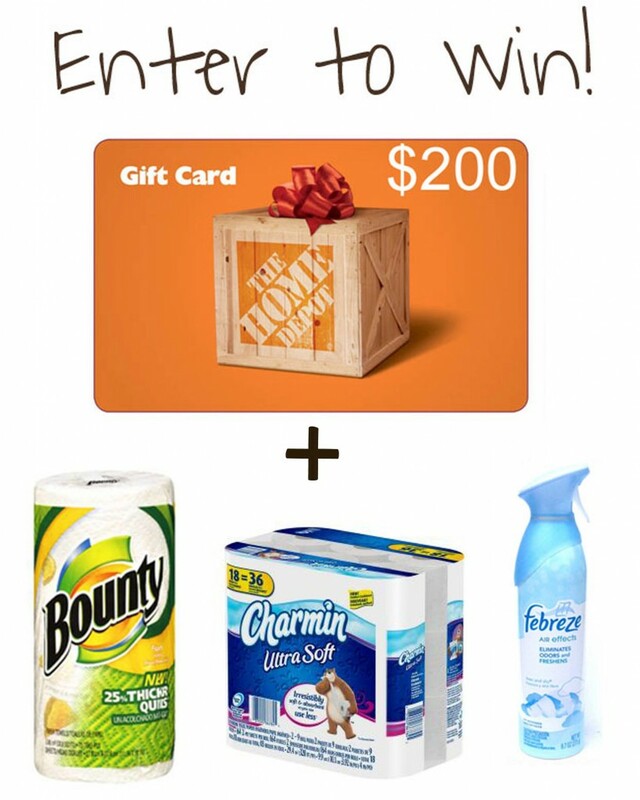 I have teamed up with P&G and The Home Depot again. They challenged me to get it together. It looks great now, but you need to see the before! I think there was a little bit of everything in there. I should have taken a picture of all the stuff after I took it out. It covered my whole left side kitchen counters! I emptied it out, cleaned it, and then sorted through all the things that had been in there. I made three piles. One pile for things to keep, one for garabage, and one for things that needed to put be away somewhere else. I took the door off and sanded the border in reparation for painting it. After wiping off the sawdust, I painted a few thin coats of paint that matched the wall color in my kitchen. I wanted the whole center of the door to be covered in chalkboard vinyl (that I picked up at Home Depot) but it was not long enough. 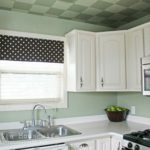 So I came up with a PLAN B. I painted a checkerboard pattern on the bottom to match the kitchen ceiling. To see a more detailed tutorial you can see how I painted the ceiling. While I was at Home Depot getting supplies for this and another project, I spied some replacement glass light shades that I like the look of. I used them for containers along with empty paint cans. I added some small hooks to the checker part of the door for keys. 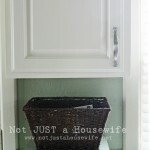 I already had the basket and I added an extra checkered tag left over from my pantry makeover. I also already had the metal caddy and it seemed perfect for office supplies. I painted a cardboard box green and put a chalkboard label on it for note pads. The Metal Caddy (affiliate link) is one of my favorite thing I own! It works perfectly for scissors, pens, markers, etc. It is SO NICE to have this cabinet organized finally. I am not sure what too me so long to get to it. I guess when you buy a fixer upper house, the little things get over looked sometimes. I also built shelves for my bathroom for this campaign. You can see both my projects and the projects of other bloggers at the Proctor and Gamble site. There are a lot of good ideas there! I need to clean up my computer area. Good ideas! Our garage needs to get organized. 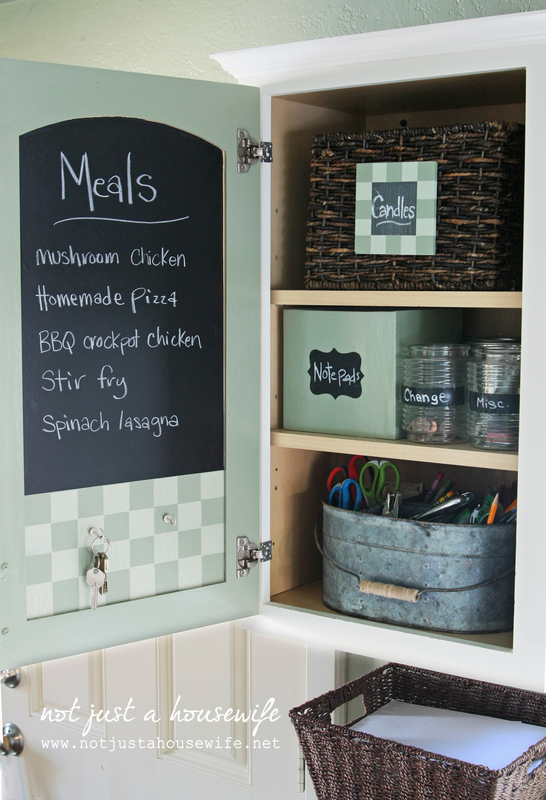 I love the chalkboard in the cabinet. So pretty! The area under my kitchen sink really needs organized!! Your cabinet looks amazing. I need to get my sewing things organized, file cabinet, and this one kitchen cabinet with spices and baking goods in it. It is always a mess. my sons room is a disaster area. it needs a major organization effort in there. also, my walk in closet could use some help!! Closets! Every last one of them! Love the menu board — great idea! I need to organize my kitchen cabinets! I need to organize my craft stuff!! 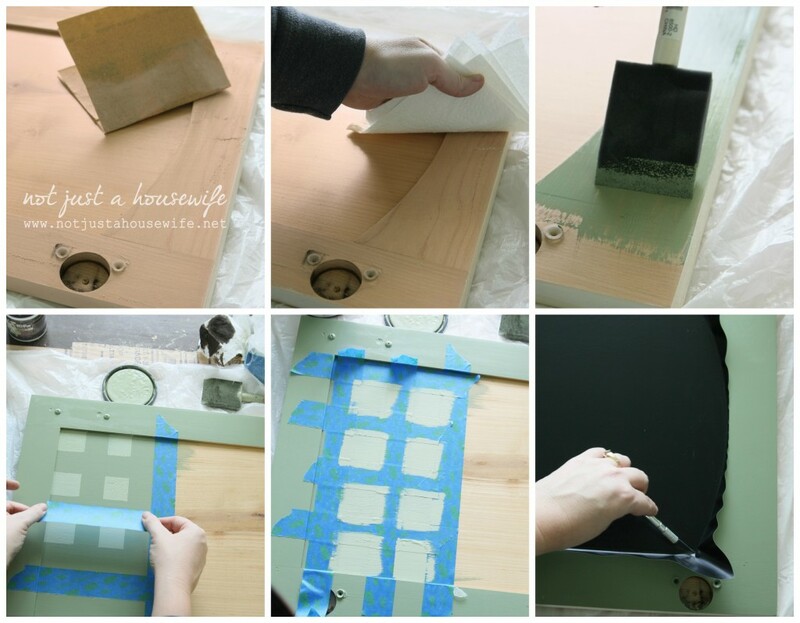 I have a stand alone junk cabinet, I’m gonna do this! I have a huge junk cabinet I would love to tackle! My kitchen pantry, big time! Most definitely the laundry room! It’s chaotic in there. My kitchen pantry needs some help. I need to be more organized! My closet is a mess, could definitely use a reorganization. We have an extra room that’s sort of a craft room – it’s been shoved full of stuff after a flood and never dealt with. It needs to be organized SO badly!! Everything needs to be more organized at my house. But since 90% of it is my mother in laws, who lives with us, I can’t really do much about it. We are wanting to build some shelves in the rood my hubby and I use as a living room for him to store his drum/dj equipment on. My closet for sure! Love this giveaway! My bathroom closet—what a mess!!! My closet could really use some organization. I really need to go through my clothing and such, shipping some off to the Goodwill. Oh my goodness, what doesn’t need to be organized??!! We moved into hour dream house (a 1920s victorian) over a year ago, and then one month later had a baby, So here we are 1 year plus a few months later and we still aren’t organized! But the main problem area is our (my) hobby room/guest room. Boxes, bed, dog crate, sewing machine, it’s all over the place! I have a junk drawer that could really use a face lift. Your cabinent is so clean and refreshing great job!! We have an extra room that really needs to be more organized. There is an old hutch in there and some wicker furniture. I am always looking to find more storage for this room. I need to organize my office space badly! I guess I can’t just say, “The whole house.” Right now my big project is organizing my crafting room, because that’s a whole lot more fun than the cold attic, where I frantically threw all kinds of stuff in a panic when cleaning the house for Christmas. The craft room has a ton of little odds and ends that need to be easily accessible and grouped by type. LOVE what you did with the door on your cabinet. As always, a clever solution and a beautiful idea. I need to do this so badly. I only have 4 drawers in my kitchen, 2 large and 2 small, and I have 1 of each size as “junk” drawers! Every time I lament the lack of storage I think about organizing them but it seems daunting. Maybe if I make it cute like you did I’ll be more motivated. My junk drawer and cupboard. Love your ideas! We live in a rental but totally am going to put some baskets and a few hooks for keys etc. My husband loathes the mess. All of my closets, the basement storage, and garage are in desperate need of organization! definitely my crafting room because i am turning a “junk” room into a crafting room so everything is a mess at the moment!! Everything needs to be organized. I am such an unorganized person. This year I vowed to get my home organized, starting with my craft room. Thanks for the chance to win! Fingers crossed. The garage! IN fact that is what we will work on if we win this! Our master bedroom needs help! I have a really messy bookcase that needs to be organized! Your cabinet looks great! Small house…we’re out of room! We need tons of storage..maybe vertical?? oh, the joys of an older house without storage. Our hallway linen closet is so deep, things are lost in the darkness! We need those touch LED lights to stick up there first of all and then after that…. boxes and bins and labels!! The few we have work great, but we need more to really boost up the organization so I’m not using old diaper boxes and gift bags. A win would be awesome! Love reading your blog, it keeps me thinking that I. Can. Do. It! A couple of my kitchen cabinets and drawers need to be organized. I really like this idea. I never thought about sorting such things into containers, but I think I’m going to do that. My kitchen is small and I really need to work on getting it organized. You always do a great job and have such neat ideas. 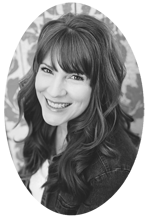 Love reading your blog. I need to organize my linen closet where I also keep all my extra bathroom “stock up” items, various candles, first aid items, etc. Our laundry room, we just shove stuff in the cabinets & seem to forget all about it. My husband needs to be organized. Our unfinished basement is wall to wall mess. The problem with him is he just needs to throw out stuff. He’s a packrat and sometimes it spills into the kitchen. That is when I put my foot down, he’s got a whole basement! Me personally, I’ve got two piles of papers that I need to deal with. Thanks for a great giveaway and I love your cabinet transformation. The kids rooms, my room, the office, and closets all need to be organized. Our garage needs to be organized! Then we will be able to find something we need to use, instead of buying another. My whole house, but I guess I would start with my craft room. You did a great job – it looks really nice! The challenge will be keeping it that way, with 4 kids helping you out! My crafts need to be organized, and I have made a start. Great job on your junk cabinet! It looks wonderful! Do you want to come over and tackle mine? I need help throughout the entire house! Thanks for the great giveaway! My pantry and the kids closets really could us some organizing. Our garage is awful! We really need organization in there. I would love to organize my linen closets. Closets, kitchen cabinets, drawers,…you name it! Oh I need to organize my laundry room! Need some shelves above them and then organize!!! My garage needs lots of organizing! I’m excited for the spring to get started! I have big plans for all the closets in my space. Umm…we have a whole room of STUFF in the den/craft/computer room that needs to be organized. I really need to organize my bedroom closet. It’s been a catch-all since I moved in that room in August. Yikes! My bathroom could really use some organizing. I really like how you organized your cupboard. Great inspiration! Amazing difference! You did such a great job. I bet you love finding things in that cabinet now. I need to organize my garage and my kitchen cabinets! definitely my crafting room! i am turning a “junk” room into a crafting room so everything is a mess and in boxes and piled everywhere while working. it is awful! Can I say everything?! Just kidding. My office, my kitchen cabinets, and under my kitchen sink come to mind. Thanks for hosting the giveaway, Stacy! Your plan B was perfect! My laundry room is screaming for some attention. My basement needs to be organized. I need to organize my kitchen cabinets!! Our laundry room needs help. Every single cabinet in my kitchen! My kitchen counter/bar…it’s a catch-all and a huge mess most of the time. Everything needs to be organized at my house! With 4 kids closets need to be organized! My whole house could use some organizing!! If I had to pick just one area to start with, it would be my laundry room. My laundry room is what I would start with. We need to organize our garage and put up lots of shelving. My daughter’s room needs organizing! I need to organize my mudroom/catch all. I need to be more organized. My closets are a nightmare! We have a junk cupboard in the garage that is in dire need of organizing. What DOESN’T need to be organized at my house? ;) I would start with the linen closet! Thank you for the opportunity! Ha! Everything in my house needs to be organized, but especially my bedroom! My linen closet, my pantry, my basement… etc. Ditto. My junk cabinet !!! It looks like your “before” pic. My kitchen needs to be organized! My kitchen and laundry room cabinets need to be organized. Need new bathroom organization! Great give away! The question is, what DOESN’T need to be organized? I honestly think that my bedroom is the worst offender. We crammed a townhouse’ worth of belongings into a small 2 bedroom apartment over a year ago, and it’s been miserable trying to work around everything. Any storage ideas are fabulous; thanks! 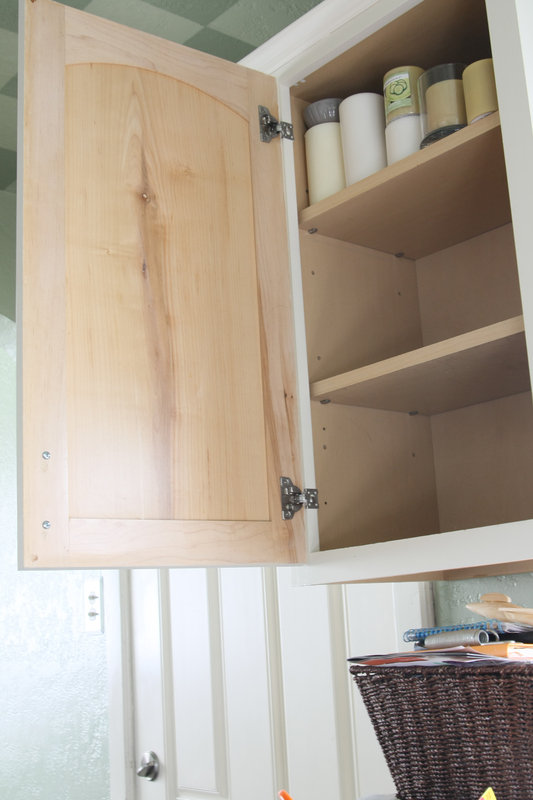 Definitely the bathroom cupboards – they’re junk attractors! Many thanks! Everything!!!! But if I had to choose one thing I would say my closet needs it the most. My mud room needs some organization! I am seriously impressed that you could fit all of that stuff into those containers!! My kitchen desperately needs organizing! We have two drawers and 4 cabinets, so I’d love to get some shelving or something. My office sure could use some organization! My pantry/laundry room area needs some help! My office shelves and drawers need to be organized badly! I’d love to have some nice baskets and misc holders for all the cluttery stuff in there. 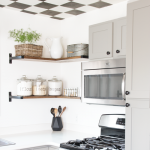 The kitchen pantry and cupboards could use a deep clean and organize for sure!! Thanks for a great giveaway! 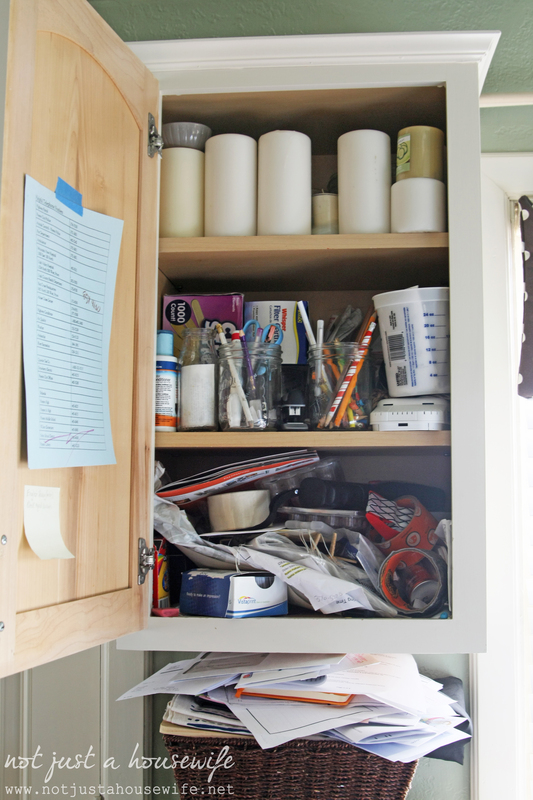 What needs organized in my house is kitchen cabinets of course, bathroom cabinets, and craft closet. My whole house needs organizing but what I need to do first is my bedroom/office/sewing room. Yes, they are all in the same room. I’m planning a dining room/office makeover and organization right now. We are hoping to put our house on the market this spring. I need to organize, toss, donate – everywhere! My bathroom closet! So many bottles of lotion, shampoos, conditioners, hair care products, etc! My closet and my craft room both need to be organized. My sons toys need organized. My craft room that I’m lucky to have really needs to be organized and cleaned up. 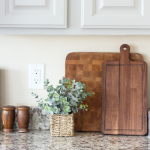 Though I am away at college, I would love to help my family back at home reorganize our kitchen! Our laundry room needs some help! I really, really need my closet organized! I moved to a smaller place and I’m having a problem with the closet. My basement is in desperate need of organization. My sewing room needs to be organized! It’s pretty crazy. I definitely need to organize my walk-in closet. Love this giveaway! Thank you. This looks so nice. It could motivate me to clean out my kitchen cabinets while we’re snowed in. My whole house needs help!! If I had to pick one area to start with is my laundry room. Thanks for the opportunity!! Sorry I didn’t mean to comment twice, it didn’t look like it went through earlier, I kept getting an error message. Great ideas! 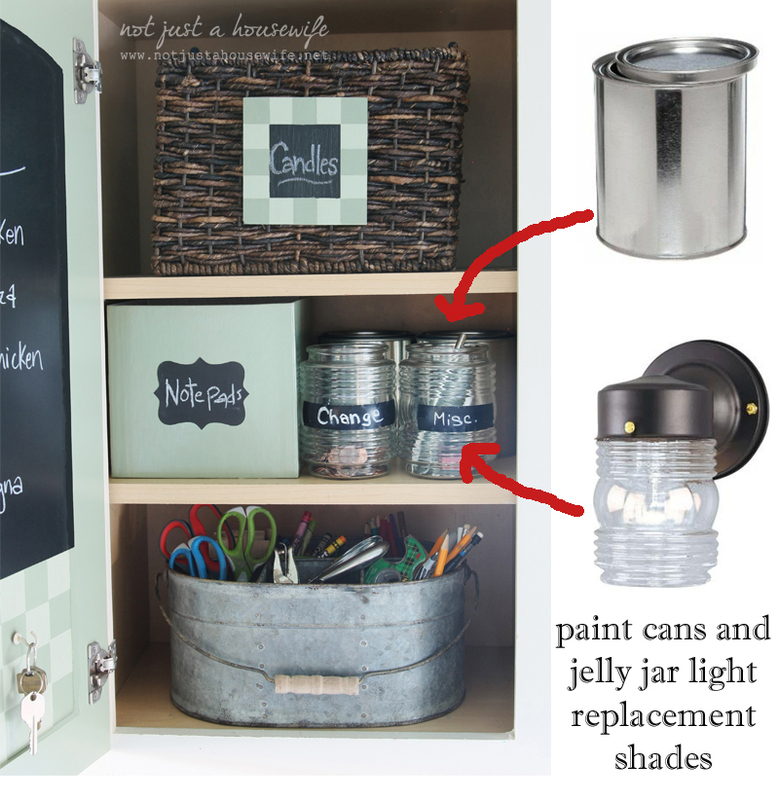 Always looking for ways to organize cupboards and messy drawers. My garage and kitchen both need organizing! Thanks so much!! My husbands work desk, my kids toy room, and my coffee area in the kitchen! The closets! All of them! eek! My laundry room and my spare bedroom. Nearly everything, but right now the kitchen is top priority. My laundry room and my pantry. Everything at my house needs to be organized. Definitely my spare bedroom AKA my catch-all room. That room has everything in it from boxes that are still packed from when we moved in 5 years ago to all the clothes my son has grown out of since then! The garage really needs to be organized – it’s more of a MESSY storage area than an actual place to park the cars. My whole Kitchen is in need of a overhaul in organization ! 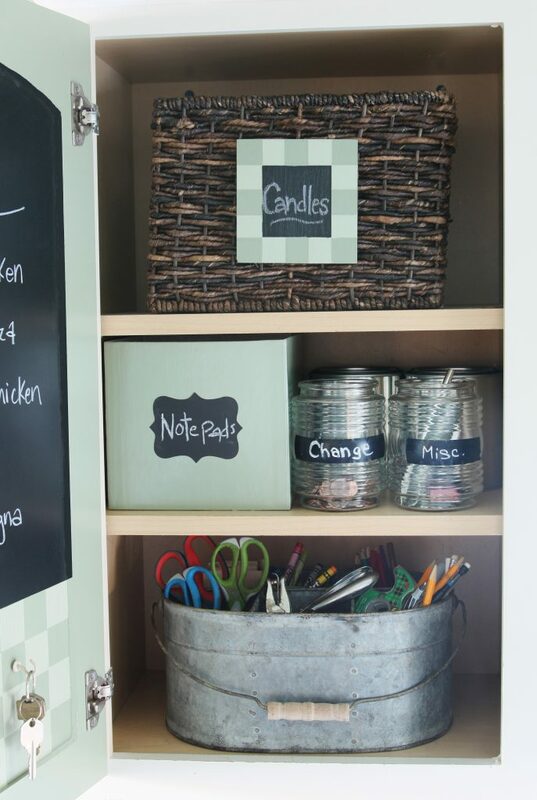 Oh my goodness… what doesn’t need to be organized at my house?? I work at home, so I will pick my office as the main area lacking organization. Get on it already, Marie! Hi Stacy, the checkerboard was a great touch! It all looks so much better. My craft room is was late for a good organized makeover. A project that I have on my spring 2014 list. Thank for a chance to win this, it would definitely put me on track for that project. I feel like we have toys and shoes EVERYWHERE!!!! My kitchen cabinets are a terrible mess! I would love some help with organizing them! The paper is out of control at my house! I need to build a command center to keep everything organized. 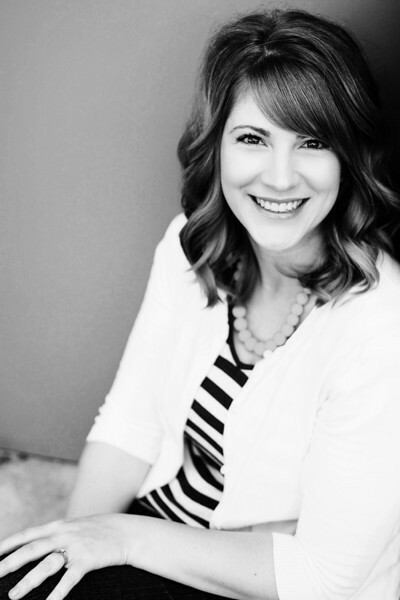 Glad I found your blog via Jenny Komenda and Home Depot. 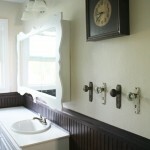 What a great project – and I actually have a little chalkboard paint sitting in the utility room. Thanks for the inspiration! My cabinets, pantry and closet all need organized. Oh, and my craft space! Our kitchen table needs to be organized better. We need more shelves to store things. 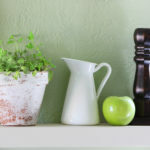 Your before of your catch all kitchen cabinet is not so bad! You should see mine! It is a chore that definitely needs to be tackled! Thanks for the Home Depot opportunity! My crafting closet really needs some organization! I need to clean out my craft closet! My daughters room need to be organize BIG TIME! Our kitchen needs organizing. My sister jsut moved a year ago and it is an older home that is in need of lots of repairs. My home office needs to be better organized! My kitchen needs to be organized. 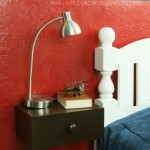 My nightstand drawers–they are a catch all. Everything in my house needs to be organized! The most pressing room is my kitchen, especially the entryway. Unfortunately, the entryway to the house is into my kitchen and with 4 kids in a New England winter, the boots and snow pants, hats and coats, never mind back packs and school assignments, are overrunning the whole room! Our bonus room– we use it for a school room/office/bedroom. It is large and it could be divided to make it more functional. My junk drawers need to be organized too! But I may work on a junk cabinet too! Looks fabulous!! Our entire apartment. We have too much stuff and not enough room for it all! My Laundry Room Needs To Be Organized! my closet, it is a mess, unorganized, can’t find what I need. My pantry is in need of a desperate makeover. 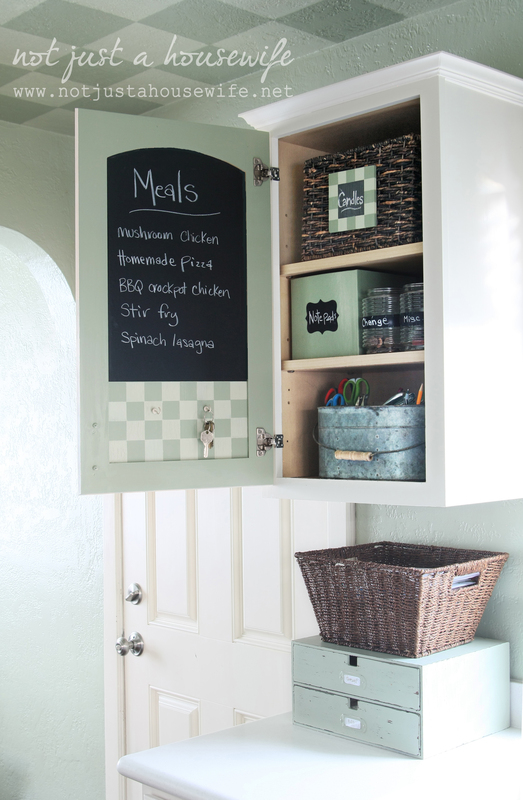 Love what you did with your cabinet – so clever! I totally need to organize my nightstand drawer! My laundry room and garage both need it. I need to get organized really bad, its been a lifelong ongoing battle. The ADD definitely doesn’t help, haha. Our bedroom! It needs a serious makeover. I would love to paint it a slate/grey color and new bed set. Also, organize our chaotic closet. Its a war zone in there. I need to organize my closet! I really need to organize my crafting/sewing supplies. It’s a MESS! I need to install shelves and make everything in my house child proof. This house needs lots of work….and a fresh coat of paint too. My pantry and Linen closet really need to be organized. My bathroom needs to be organized, so many products and so little room! I really like the idea of your junk cabinet and may borrow it for my own home! My closet needs to be organized. My laundry room definitely needs to be reorganized and spruced up a bit. My closet needs some major organization! Everything HA! Our little basement is the worst though, it seems to be our catchall space! My lower kitchen cabinets need help with organization. Our closet needs organizing pretty badly! Thanks for the great giveaway. Our linen closet! It’s a disaster- half the stuff in there probably belongs somewhere else! What DOESN’T need to be organized in my house??? I guess the kitchen cabinets (what few there are of them) would be the first thing! The baby’s room definitely ! My closet needs a once over! My bedroom and closet needs some serious organization!! My garage is in dire need of organizing! I have a few “hotspots” that tend to gather too much stuff. 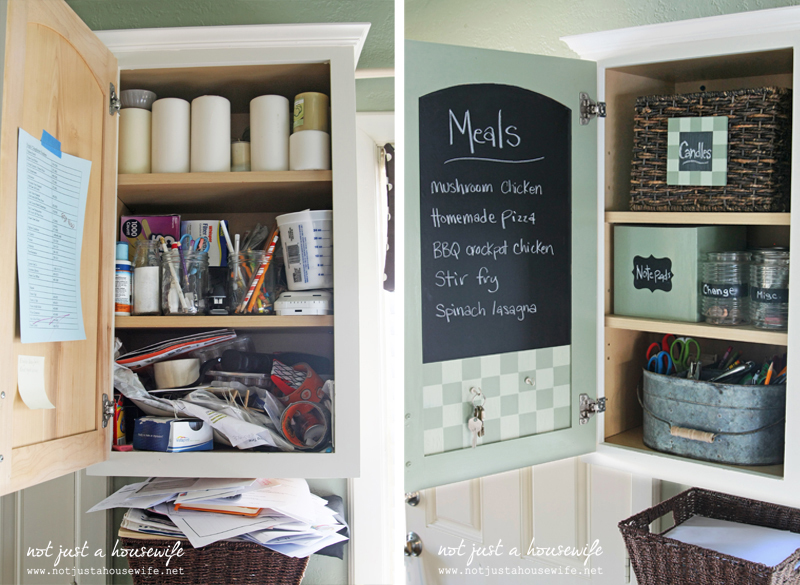 The use of a cupboard instead of a drawer is pretty creative! We recently finished our 2000 square foot basement and all of the “stuff” that was stored down there is now crammed into one storage room that desperately needs organized! It’s the first item on my spring cleaning to-do list. My sewing and crafting stuff needs a place in my new house! Right now it’s all in plastic containers. We recently bought a home and are still in the process of finding a place for everything. I could really use a win here so that I can get the chaos under control! Thanks for the chance. Love the cabinet and the colors in your kitchen. $200 would buy paint for mine! My craft/sewing room needs a lot of organization! Our computer/office area…. particularly 2 small boxes of miscellaneous-who-knows-what stuff that sits in that already small area… and paperwork files.